Whilst looking for new slots in 2017 and finding slots you can play for just 20p. I was interested to learn more about Jungle Spirit Call of the Wild from Net Entertainment. Firstly, what was this game luring players into jungle? How does butterfly boost work and what do wild animals have to do with free spins? In this review, we’ll look at the latest slot from NetEnt and the best casino sites to play it. With an attractive jungle theme, clever graphics and up to 1,024 ways to win. It’s no wonder UK casinos are queuing up for this one. Jungle Spirit: Call of the Wild is quite possibly the most convincing slot we’ve seen so far this year. We can’t accuse Net Ent of laziness here, it’s a great new offering. What we’ve got is a 20p slot with 5 3-D reels that feels very well put together. There’s plenty of danger in Jungle, but from 20p a spin it’s an adventure worth taking for the potential 7,678 x betting stake win! It’s a slot that makes me want to play real money to win real money (because it offers the good stuff). Cash players take note! You can play from just 20p and cover 243 pay lines. The jackpot is relatively good at 400 coins and there’s plenty of betting flexibility here. For example you can play up to £100 a spin at the high roller end of the spectrum. It’s got free spins too, a butterfly booster and symbol expansion for additional wins. But more on the features later. Jungle Spirit Call of the Wild is impressively detailed. You probably won’t find many new slots in 2017 that can match the games graphics or design. Whether on desktop or mobile, this a 20p slot that works like a dream. The animation is sharp, the jungle theme is atmospheric and the bonus games are exciting. Using animals to represent the slots features and free spins is also a joy to watch. As a child, I was a big fan of animal games. Fast forward the clock and I’m hitting UK casinos with 20p slots to find that same thrill. Finally! The animals are back. The pay table for Jungle Spirit: Call of the Wild Slot is a good blend of card value and animal symbols. A, K, Q, J and 10 card symbols (as usual) fill in the reels gaps and pay less. More generously, Tigers, Cobras, Bears, Crocodiles and Elephants make up the high value slot symbols of the game. 5 Tigers in a row pay most at 150 coins x your bet. Some slot reviews can make in-play features complicated. If you’re playing slots for real money then you want to know how the winning happens. Let’s keep it simple. Jungle Spirit: Call of the Wild uses three bonus features that work in and outside of the base game. They are the symbol expansion, butterfly boost and wild animal free spins round. 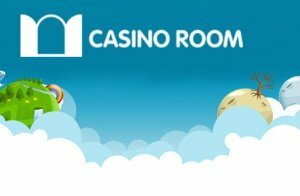 I’ll play 20p slots online with base game features any day. Butterfly Boost gets my vote. This is a random award that can be triggered following any winning spin in the base game. So what could happen? You line up winning symbols, you get excited. Then, at random, a bunch of golden butterflies get excited too. These butterflies then choose between 1 and 5 symbols of that win to expand over the entire reel/reels. The result? Potential huge win from major winning multiplication! What’s better than a symbol? How about expanding symbols? Sounds good, but what are they? Indicated by glowing gold at the bottom of a symbol, look out for the butterfly mark. Glowing gold is a good sign trust me. Look out for these butterflies in any winning combination (it could happen). Again they expand to cover the entire reel and could contribute to big pay outs. In NetEnt Jungle Spirit: Call of the Wild, pay outs include big wins, super wins and super mega wins! At 20p a spin, there’s no denying Jungle Spirit is worth every penny in play. That’s because we’re hunting for those five big animals in play. Or in other words, the Jungle Free Spins Bonus. But we need pink orchid flowers to lure them out (the slots scatter symbols). We’ll need at least three of these pink orchids to get the free spins bonus. If that happens, enter the jungle waterfall 5 x 4 grid slot. At this point Call of the Wild roots up 1,024 pay lines from 243. The drums kick in, tribal chants can be heard and everything gets tense. At this point we get to choose a strategy. (I thought this was a nice touch from Net Entertainment). Do we choose Win Big with High Risk or Win Often with Low Risk? Any ideas? Here’s a tip, high rollers and players betting big will probably stick with high risk anyway, but I reckon every player should take this option. Once you’re happy with a betting strategy, it’s time to choose your animal. Each animal offers the following number of free spins, but don’t be fooled by the amount! Choose wisely, these animals will represent your free spins as the main ‘medium win’ symbol. This means more of less or less of more. Net Entertainment are not silly and the maths is clever. It’s a potentially rewarding bonus with up to 7,678 x your bet on offer, but don’t be fooled. These animals are dangerous, it’s about escaping the jungle with as much as you can. That’s if you have anything left! 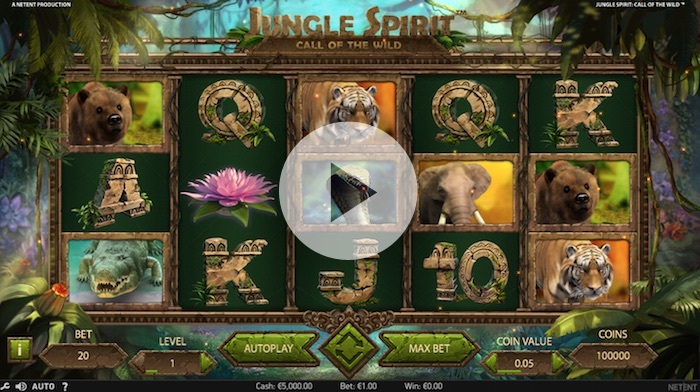 UK casinos with 20p slots will no doubt welcome Jungle Spirit. As another game playable from just 20p itself, players could find good returns with 243 ways to win. At the other end of the scale in high roller territory, you can bet big at £100 a spin. As for the slots jackpot, 400 coins is the largest fixed prize in the Jungle whilst you can win up to 7,678 x your betting stake in other scenarios (free spins bonus etc.). The RTP (payout rate) for Jungle Spirit: Call of the Wild is 96.49%. For a glimpse of one of the top new slots in 2017, Net Entertainment Jungle Spirit has everything under its canopy. And as far as 20p slots go, Call of the Wild offers incredible winning capacity. Animal lovers will love it, high rollers will love it, and slots players will love it. Everything from graphics to betting control roars quality whilst a betting strategy option (in the free spins bonus) adds an extra level to gameplay. No wonder UK casinos are snapping this one up. Great effort from Net Entertainment.